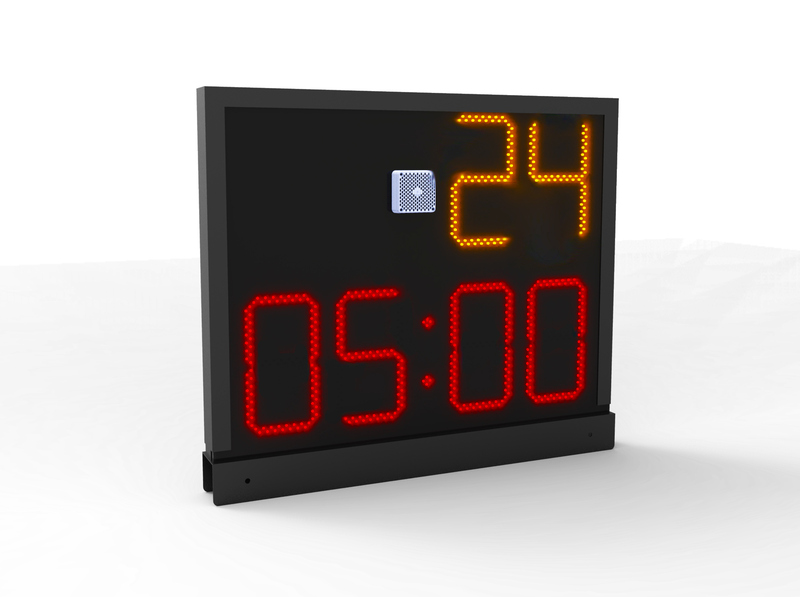 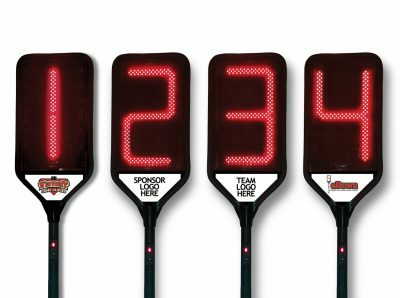 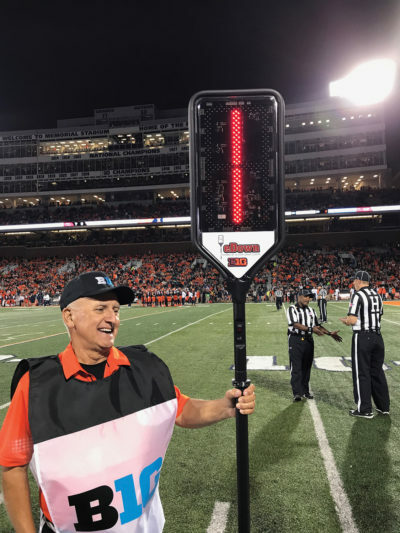 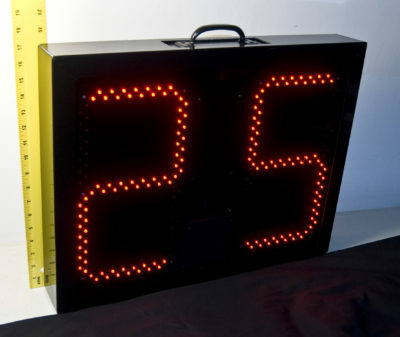 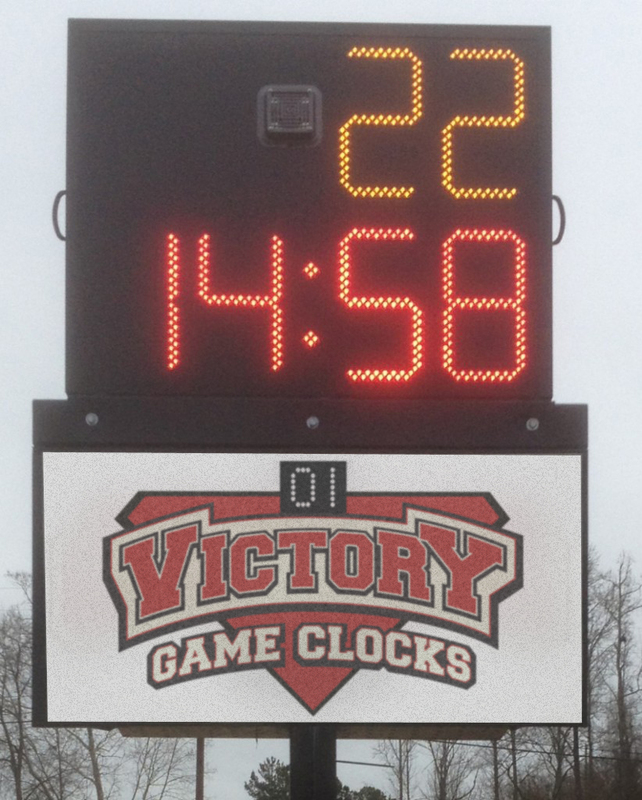 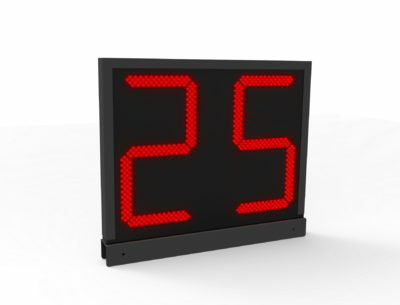 Practice like champions with Victory Game Clocks practice timers! Our versatile practice timers go beyond the competition, with four modes and the latest technology. 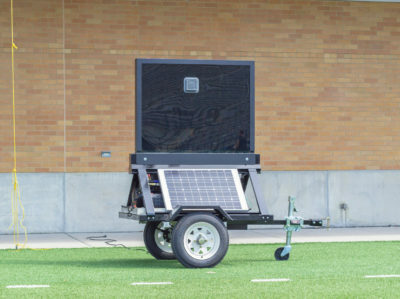 Wireless Range of over a half mile! 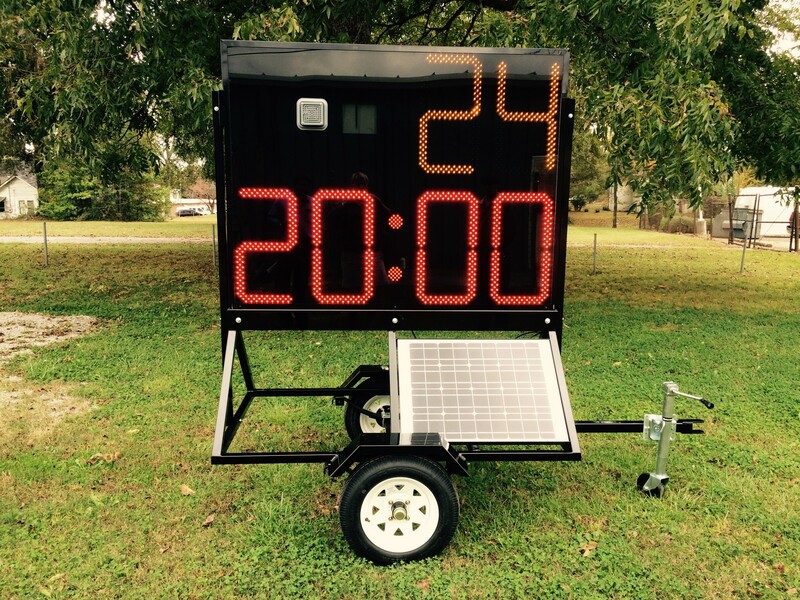 Flexible power requirements – 120VAC or 12VDC, with your choice of battery, solar, or both. 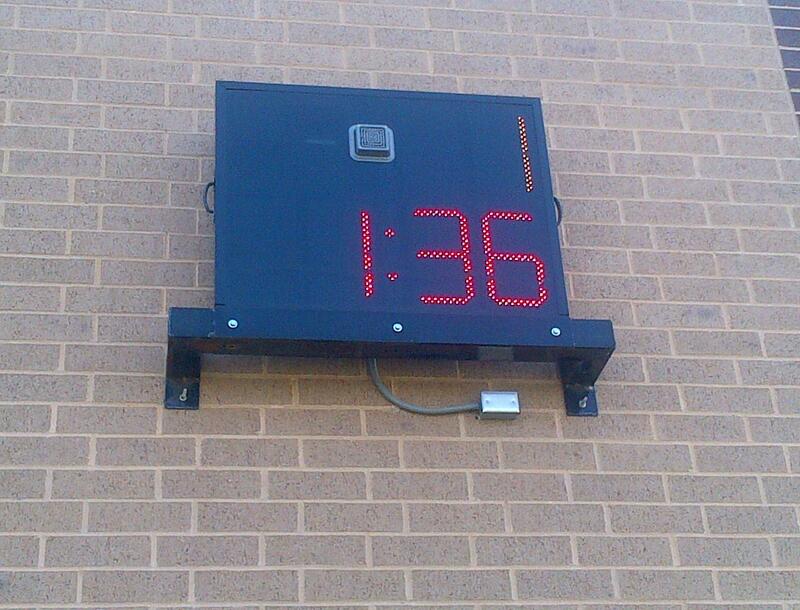 No need for an outlet! 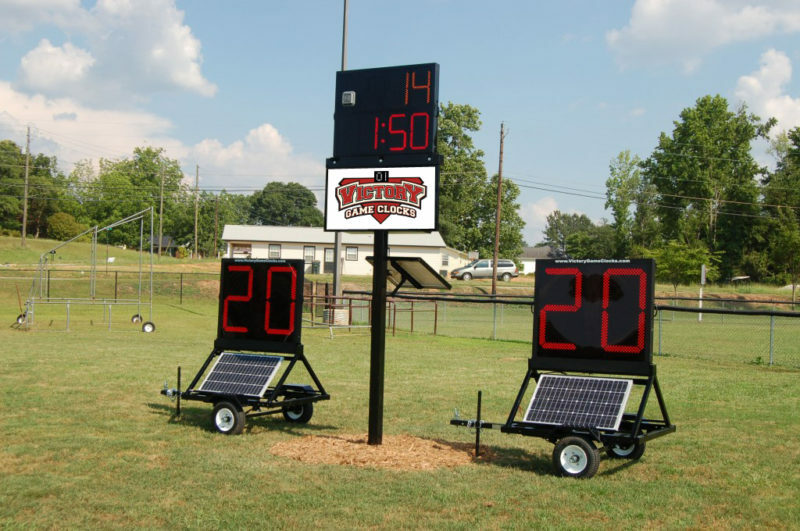 Stands feature advertising spaces – bring in new sponsor revenue!